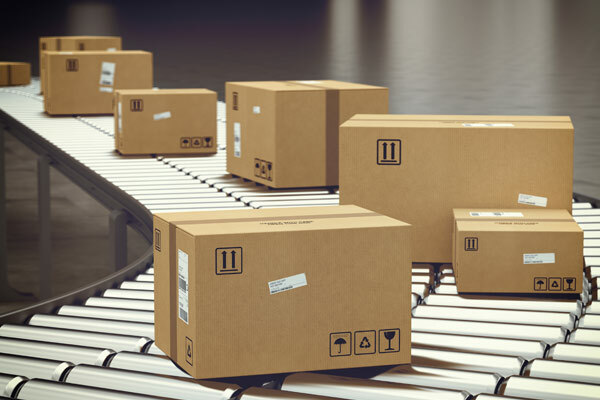 While transitioning to e-commerce offers many advantages over the traditional brick-and-mortar model, retailers looking to dive in should be aware of a few cost-saving measures when it comes to packaging and shipping their product. Whether you’re running your own online store or selling merchandise on popular online marketplaces such as Etsy or Amazon, it’s never been easier to set up your own e-commerce operation. Building a thriving business that can withstand the ups and downs of the modern economy, however, is another beast entirely. If you’re just beginning to test the waters of e-commerce, or if you’re a pro trying to learn some new tricks, consider these smart, cost-saving measures for packaging and shipping. From buying in bulk to opting for eco-friendly packaging, it’s possible to cut costs — without slashing quality. No matter what shipping carrier you use or how you sell your products online, it pays to buy in bulk. You’ll be saving yourself money in the long term by knowing what you can expect to use each month and purchasing what you need from the outset. Whether you’re buying corrugated boxes, cushioning, or packing tape, this proactive approach will help you cut costs you may not have even known you were incurring. While some retailers may be worried about the ins and outs of wholesale purchasing, the process is as intuitive as it is cost-effective. Additionally, the more you buy in bulk, the larger the discounts you tend to receive! Another great way to save is by using eco-friendly shipping materials. Lightweight, recyclable products do more than help the environment; because they’re made from lighter — albeit just as durable — material, you’ll be spending less on shipping. On top of that, studies show that 53% of consumers prefer to do business with companies that make an effort to have a positive impact on the environment. So, not only will green packaging reduce your shipping expenses; it’ll earn you customer loyalty that’s more likely to translate into repeat business. If you’re not using the correct packaging, overspending on shipping is inevitable. Here’s why: with a package that’s too large, you’ll need to add enough cushioning to protect the product inside from shifting during transit. While using an appropriate amount of bubble wrap or shredded fill is recommended, a large box demands more cushioning than necessary — thus making your shipment heavier than it needs to be. Conversely, if you use a box that’s too small because you want to cut costs, you run the risk of the product getting damaged during shipment, since a smaller package means you’ll have limited space for essential cushioning. This makes it more likely that you’ll have to deal with the headache of processing a return, which is a costly process in and of itself. Instead, find a happy medium between boxes that can snugly accommodate what you’re shipping without requiring you to stuff too much extra filler material inside. I think it might be useful for my cousin to know about sizing the package just right. It is nice to know that you can make it more eco-friendly this way. She might like knowing this as she looks into the custom packaging.